It is still being worked on, what you see here is two differences. One where the top edge of the walls have been replaced with a more castley look. And that the corners has been smoothen out with a cement like substance. I don't know about the whole castle like look underground. It would be great for the surface world, I just don't think it fits here. I'm diggin the rounded corners tho. I agree with Mello. Great for the surface world but not for underground. It looks cool though definitely a keep for later parts of the game. I think sharp corners would be better cause what lazy imp would want to dig more rock out to make it rounded? I think I'd have to see this in game. It's hard to really get a feel for how it might look when I'm moving around. I might bank this for the future if you decide to give players more control over there dungeon's look and feel. But I think these two might be right, it might not be a good default 'look'. Either it would be good for surface, as mentioned. Or it may be kind of wall/tile improvement - using 1 or 2 Stones to build this fence-like reinforcement, which would prevent creatures climbing it from lower level, and offer greater mining resistance than regular wall. Anyway i don't think it would do well for regular underground wall. I made the walls a little bit more discreet. What do you think now? Hmmmm, I though about that for a little time. I think that a light gray color and the shape of bricks are the issue. Walls here reminds human structures a little too much. 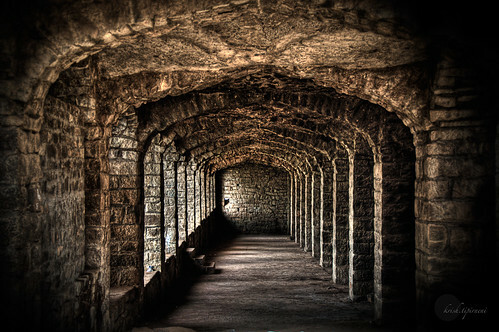 What if dungeon walls could look more organic, if the unfortified walls are brown, maybe walls could be mix of gray and brown, more catacomb like? I wonder what Ben would think about that. What do you think guys? Much better for me. A bit more diversity and it would be good. I think that bricks in top border line at top level could be a little bit extended outward to emphasize "ceiling" level border (just like that big stone brick sticks out at the corner block where farm ends by the waterfall). Improved top (and i think bottom too) edges of blocks and pillar-like corners are what was missing there Good job. Absolutely good direction. - one thing however - you'll have to disable additional brick border on top and bottom of the brick if there is room on that tile, coz they overlap. Im also up for Sebt idea about different colours. How about coloring walls in different shades of green, gray and brown depending on depth, water/lava proximity, distance from DM etc. (plus some decal like moss, thin water streams (just specular thingy), and/or some different types/patterns of bricks on those? Big ones, cracked, almost crumbled, sometimes fresh looking.) Or just procedural noise mask to map different color areas, like top level gras/dirt mix. If you think it's woth considering, I'll try to visualise the idea once i got home and send some image too. Hope that's not too much writing fo one time Keep up good work. Yeah much better on the second go at that. 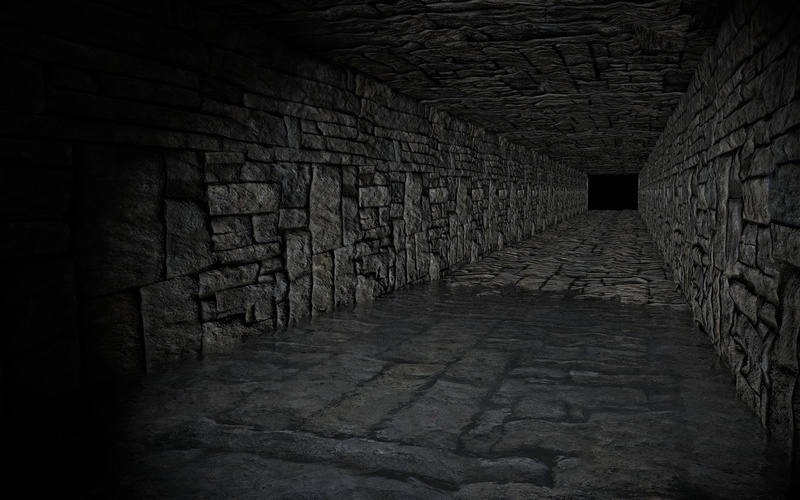 I also think that first image Sebt posted would look really cool in the dungeon if not to give it a more organic feel, perhaps areas like Impanzee lairs could have this as their wall texture. Getting back to what Ufol mentioned, being able to use those excess stones we collect in order to fortify the walls would be great and perhaps there could be several levels of defense. 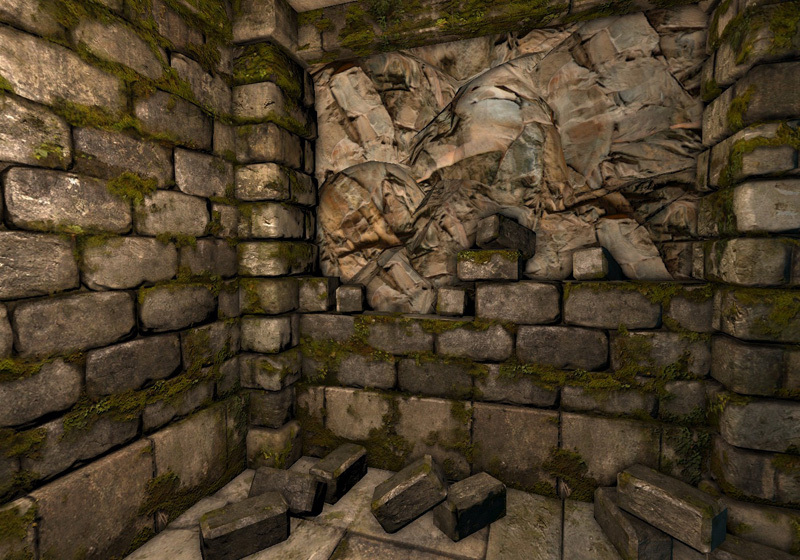 As the wall is upgraded, the texture would look more solid and each level would have its own texture so they could be visually assessed for level. I really like the idea of being able to reinforce walls some extra. Now with the enemies attacking from all corners it gets more and more important. So maybe just add an extra upgrade option in the radial mouse menu where the player can click on things he wants to upgrade, it could be everything from walls to storage rooms maybe? Easy to add and should be easy to use. (21-01-2015, 02:11 PM)UfoL Wrote: How about coloring walls in different shades of green, gray and brown depending on depth, water/lava proximity, distance from DM etc. (plus some decal like moss, thin water streams (just specular thingy), and/or some different types/patterns of bricks on those? Big ones, cracked, almost crumbled, sometimes fresh looking.) Or just procedural noise mask to map different color areas, like top level gras/dirt mix. I like this idea very much. That would look more natural and would give a reason why is one resources lying only in lower part of the ground not on higher as would add some more deep feelings when you're digging lower and lower, down to the darkness and epicness. Those examples show exactly what i had in mind. +1 for you Sebt. I like that idea Sebt, but I do think we need more than just colors, I have tried that once and it didn't look all that good to be honest. Changing the color depending on depth makes the walls look all rainbow like, perhaps a different shape could work in that case instead? Well, maybe we also don't need many colors, maybe only 2-3, also maybe we could somehow mix changing colors and shape too? How exactly you see changing their shape BTW? Maybe you think as deeper you get as for example bigger rocks you can see in ground tiles? As you go deeper color of the ground could look darker and darker. We can also make that because bigger rocks are or harder is the tile then digging it could also take more? So more rare or just different material could be find in such rocks. Rainbows in an evil game? Whimsyshire anyone? I think what Sebt just posted would be good to draw from. For instance, the top image really only has 2 colors that fade in brightness. The upper layers would be more dirt than the lower layers that are very rocky. Nice finds Sebt! Current time: 23-04-2019, 04:39 PM Powered By MyBB, © 2002-2019 MyBB Group.